THE National Trust has praised the Ansa McAl Group of Companies for "their proactive stance in relation to the preservation of these valuable aspects of our heritage." 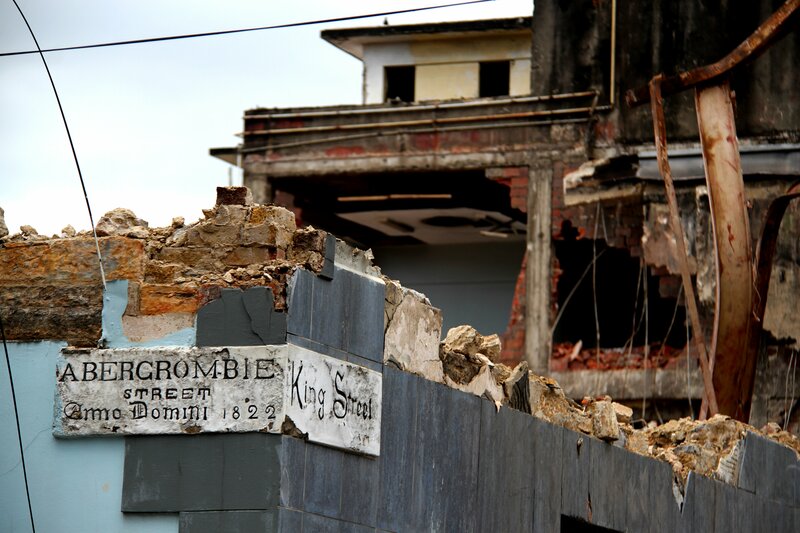 In a statement trust chairman Margaret McDowell said the demolition of buildings on the block between Abercromby Street, Independence Square South, St Vincent Street and South Quay posed a threat to the "preservation of some of our heritage assets that were part of these properties, some of which are over 200 years old." McDowell said these included "two of the oldest street signs" in Port of Spain. Other heritage assets at this location included rings that were used to tether the horses of traders at the port; great examples of local construction of stone walls; and cast-iron stanchions and brackets. She said the trust looks forward to continuing to work with Ansa McAl "towards the preservation and understanding of our diverse heritage." In a statement on Tuesday, Ansa McAl said it will preserve two 19th-century street signs on the old TATIL building on Abercromby Street and Independence Square in Port of Spain. These were highlighted in Newsday stories about the demolition. The company said the signs will be “retained along with the corners of the building, which will allow for it to be incorporated in any future development." Reply to "National Trust praises Ansa McAl"